Charcoal metal 29″ bar stool. 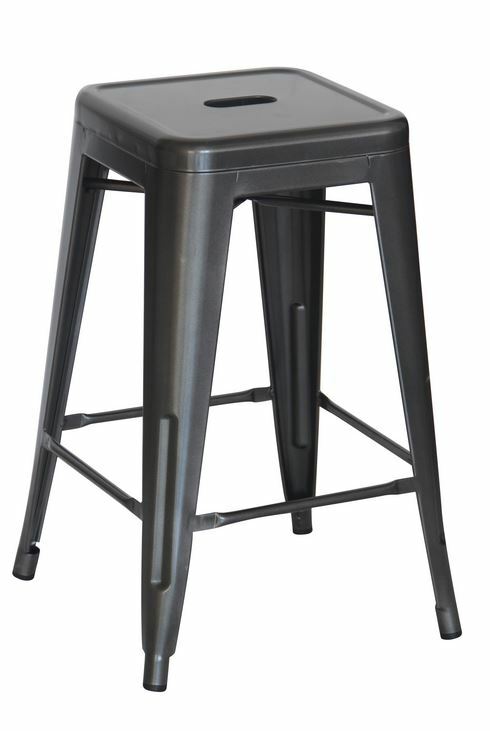 This charcoal metal 29″ bar stool is durable enough for use in any restaurant-like environment, the bar stools easily and neatly stack together, making them easy to stash out of the way for storage. A handle in the seat makes the stools easy to pick up and move. Lightweight and sturdy, each stool weighs only 10 lbs., but is strong enough to hold up to 250 lbs.